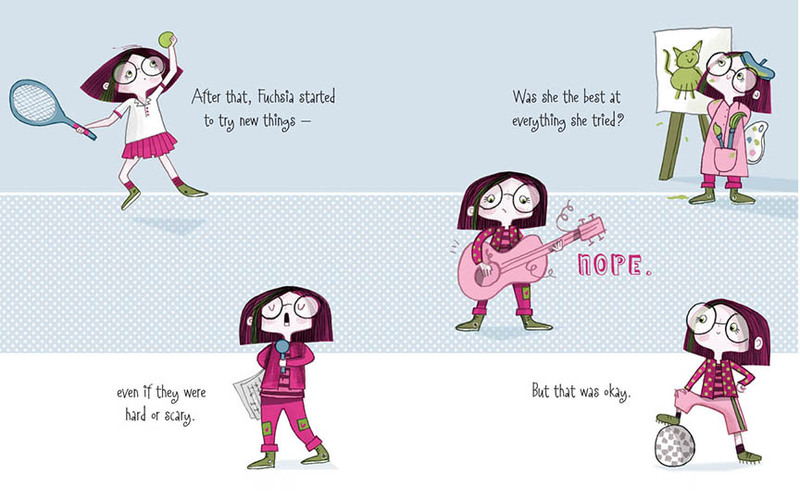 This book is about a spunky little girl who wasn't so spunky before. She was shy, but she learns how to be fierce. The challenge for this book was to find a couple of colors that would match the theme of the book, and let Fuchsia stand out. I also got to direct an illustrator with a really fun style.